Deep Magenta; Confession Ultra Slim High Intensity Refillable Lipstick delivers creamy, saturated, long-wearing color with a satin finish without smudging or feathering. Each lipstick is encapsulated in a sleek gold applicator to provide the ultimate control to precisely accentuate, contour, and define the lips. Featuring the ultimate luxury lip accessory, the gold applicator can be used interchangeably with the full collection of Confession Ultra Slim Lipstick Refills (sold separately). 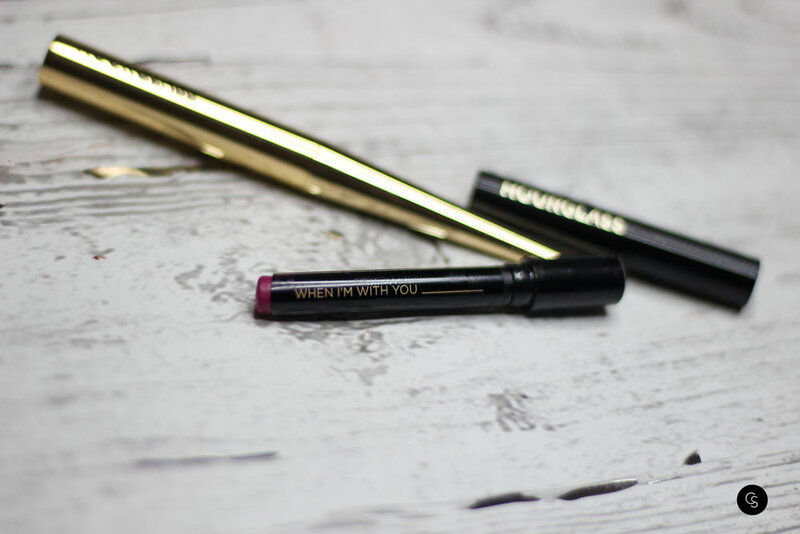 When I'm With You is a small but mighty deep pink lipstick that really packs a punch. The satin formula is super pigmented and actually lasts for a long time, especially for a traditional lippie. That and the uber luxe packaging make up for the hefty price tag.